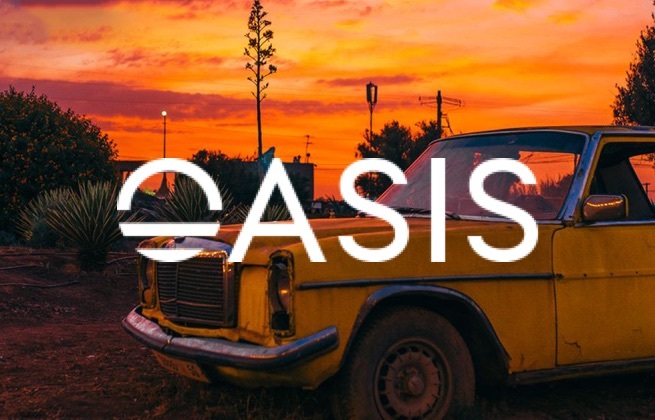 This ticket allows access to OASIS Festival 13th - 15th September 2019. Launch Trip: Vitamin Sea Dates: 8-12 September 2019 Time: 3 pm departure on the 8th of September from Marrakech International Airport (RAK - 3 hrs) Summary: Surf on one of the most famous spots in the world, Anchor Point, and practice a dynamic yoga overlooking the Atlantic Ocean to energise your body and soul before you boogie in Marrakech. Venue: The Yogi Surfer. The Yogi Surfer is located on the peak of a small hill, in the bay of Taghazout with stunning views of the ocean. Open throughout the year, the Hotel Surf & Yoga Boutique Hotel offers you a warm welcome and true Moroccan promise of authenticity. Stretching out below are the banana plantations of Banana Village, and beyond are the long stretches of sandy beach offering a truly magnificent outlook. The Hotel Akabar is located in the residential area of L’Hivernage and decorated in Moroccan style. The famous Mohammed 5 Avenue, with its many shops, is just 500 m away. The property is just 2 km from Jamaâ El Fna Square and 7 km from Menara Airport. There is also a kiosk in front of the hotel selling tobacco, souvenirs and newspapers. The rooms are all equipped with a TV, a telephone and a safe. They each have a private bathroom with a bathtub. The front desk is open 24 hours and free Wi-Fi access is provided in public areas. Free private parking is available on site. 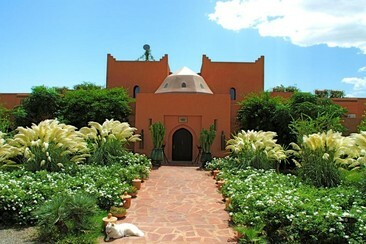 Les Jardins d'Issil is located on the road of Ourika in Marrakech, 20 minutes from the bustle of Marrakech. Guests will stay in luxury tents in a garden of 5 hectares with views of the Atlas. You can relax on the terrace, in the garden and play mini golf. An outdoor swimming pool and a steam bath also feature on site. 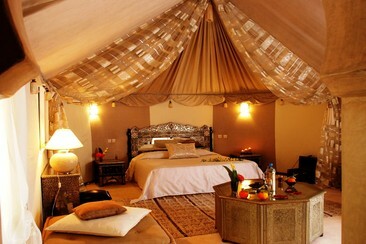 All of the air-conditioned tents at Les Jardins D’Issil are decorated in typical, Moroccan style. Each tent has a seating area and a private bathroom, which is fitted with a shower. Free Wi-Fi is provided in public areas and free private parking is possible on site. Massages, camel rides and excursions to discover the area can also be organised with an extra cost. 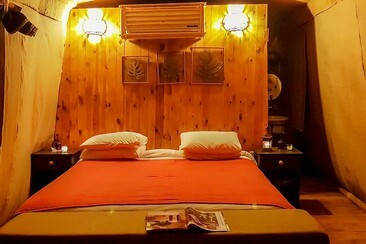 Featuring free WiFi and air conditioning, Le Jardin Tougana Campement Lodge is located in El Harkat. Marrakech is 5.6 miles from the property. There is a private bathroom with bathrobes in each unit. Bed linen is featured. Le Jardin Tougana Campement Lodge also includes a year-round outdoor pool. Guests can enjoy a drink at the on-site bar. The nearest airport is Marrakech-Menara Airport, 5 miles from the property. This propriety is a perfect place to relax. Enjoying a privileged location in the exclusive neighbourhood of Hivernage, the Tempoo Hotel is an urban hotel located in the heart of Marrakech. The hotel features 45 contemporary guest rooms that are furnished with a variety of modern amenities. The Tempoo also boasts the Zesto Coffee Bistro & Café with a terrace where guests can enjoy a hearty breakfast each day. Boca Chica is the hotel's lounge restaurant with an outdoor terrace, and a trendy bar. Other hotel amenities include: a 24-hour front desk, room service, currency exchange, laundry services, and a tour desk. 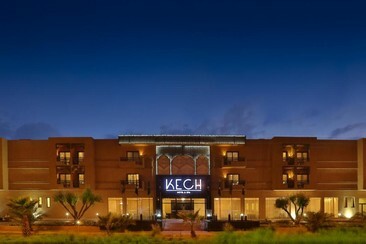 The Tempoo Hotel is a 10-minute drive from both the Marrakech Menara Airport, and Jemaa el-Fnaa. The Conference Palace is a 10-minute walk away, and the Marrakech Train Station is a 5-minute walk from the hotel. 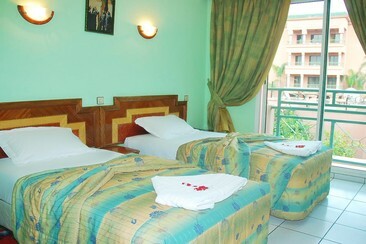 Hôtel Racine is located in Marrakech, a 5-minute drive from Djemaa El Fna square. Marrakech Plaza is a 5-minute walk from the hotel, while Carré Eden Shopping Center is a 10-minute walk away. The property offers an outdoor pool and sun terrace, a fitness centre and free Wi-Fi access in all areas. 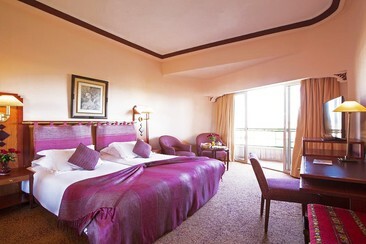 The hotel offers 77 rooms, all tastefully furnished in pure contemporary style. Relaxed, airy rooms with warm decor feature free Wi-Fi, flat-screen TV and minibars, private bathroom with free toiletries and hairdryer. Located in the Agdal neighborhood, Kech Hotel & Spa overlooks the Oukaimeden Mountains and features a swimming pool and restaurant. It offers modern accommodation with free Wi-Fi and balcony with views of the pool and sun terrace. It also offers LED satelliteTV, air conditioning, soundproofing and private bathroom. 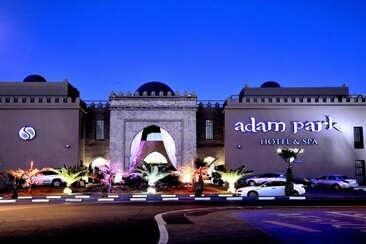 Adam Park Hotel & Spa is the ideal place to relax and enjoy the Moroccan sun. With its outdoor pool and green gardens it has a distinct luxury feel and is only a 15 minute walk from the Agdal Gardens. The hotel features several restaurants serving a variety of cuisine, including an Art Deco restaurant and a terrace with a pool view to dine on. The hotel offers daily breakfast and an airport shuttle (at a surcharge). There is a fitness centre with cardio machines for guests to use and a spa to relax afterwards with a body treatment. 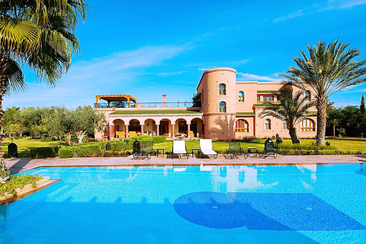 Located in the heart of the luxurious district of Hivernage in an 8-hectare park, the Es Saadi Marrakech Resort - Hotel is 10 minutes’ walk from Djemaa El Fna square. The property offers an oriental spa, 4 restaurants and a bars and buffet breakfast. 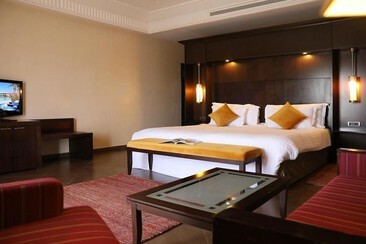 The rooms also offers air conditioning, TV and WiFi access. Riad Al Mendili Kasbah Private Resort & Spa is located in Ourika plain, 15 km from Marrakech. It is surrounded by a garden with a swimming pool. There are plenty of places to relax in the Kasbah Al Mendili, from the large lounge, the terrace and the spa. A free airport shuttle can be arranged at the property. The Kasbah offers 10 rooms, including 4 suites. Each room and suite is elegant and comfortable and has a private terrace. The suites have a lounge with a fireplace. A large, luxurious house, built in the Moorish style and benefiting from all the comforts of the 21st Century. Dar Moulouya is located in a private domaine in the verdant Ourika Valley, 20 minutes away from the centre of Marrakech and overlooking the Atlas Mountains. Situated 20 minutes from the Grand Place, Dar Moulouya is surrounded by a large, mature garden and has stunning views of the Atlas Mountains making this the perfect place for a family holiday, or a getaway with friends. With 7 bedrooms, 6 bathrooms and ample living space, Dar Moulouya offers comfortable, luxury accommodation for up to 14 people. All bedrooms are ensuite and have air-conditioning. There is generous living space with a large drawing room, a dining room and a TV room, in addition to several terraces overlooking the garden. Returning for its fifth year, Morocco's Oasis Festival has now established itself as a leader in North Africa’s thriving festival scene. Embedded in the cool shade of the Atlas Mountains a short drive from the centre of Marrakech, Oasis will again be hosted in the luxury Fellah Hotel, where a philosophy of wellness & heritage provides a rejuvenating base to party poolside late into the night. Oasis’ electronic music palette seems only to be getting more vibrant. Expect legendary B2Bs – last year’s edition saw The Black Madonna come face to face with Derrick Carter and Actress brush shoulders with Maribou State – as well as a sprinkling of spectacular live performances and of course headline DJ sets from international titans. Promising an atmosphere of relaxation and wellness that stands apart from its peers (from morning yoga to a spa and hookah lounge), Oasis Festival 2019 looks to be another unique cultural experience in the spectacular Red City with internationally lauded electronic music at its fore. 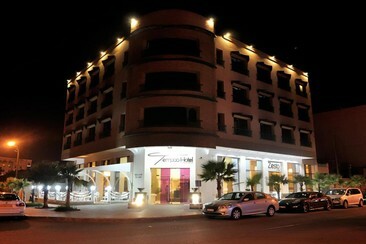 Oasis Festival takes place at the boutique Fellah Hotel. Marrakech is one of Morocco's most famous cities, with its famous markets and bazaars filling the streets.